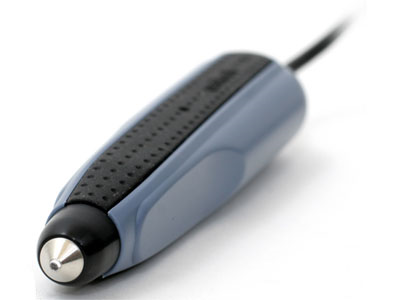 The MS100 bar code wand is targeted toward low reading volume / cost effective solutions. The advanced optics and electronic design converts bar code labels into a high quality digital signal. Able to read color, faded, and low contrast barcodes quickly and accurately, the MS100 is a proven solution. 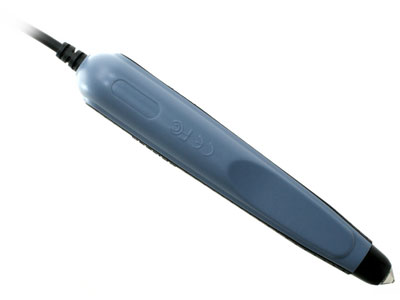 Its shape gives the MS100 the comfort and handling of a conventional ink pen. 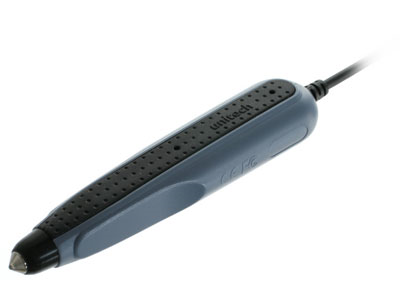 Just sweep the tip of the wand across the bar code in either direction and listen for the "good read" beep that lets you know the data has been successfully captured. It doesn't get easier than that. Dimensions 5.5 x 1.2 x .9"
Typical Depth of Field 0.04"
Find it faster! Click here to compare MS100 models by feature.